ourselves so lucky to have lived in a little fairytale land for a bit. home to Europe’s biggest red light district which makes it a city of contrast. exists, but you have to seek it out – and it’s much more for visitors than locals. Amsterdam that is intriguing to experience & see. But there is so much more! incredible sights we recommend fully along with wandering, so it’s all below! should know before you visit the magical land of bikes, cheese, clogs and canals! 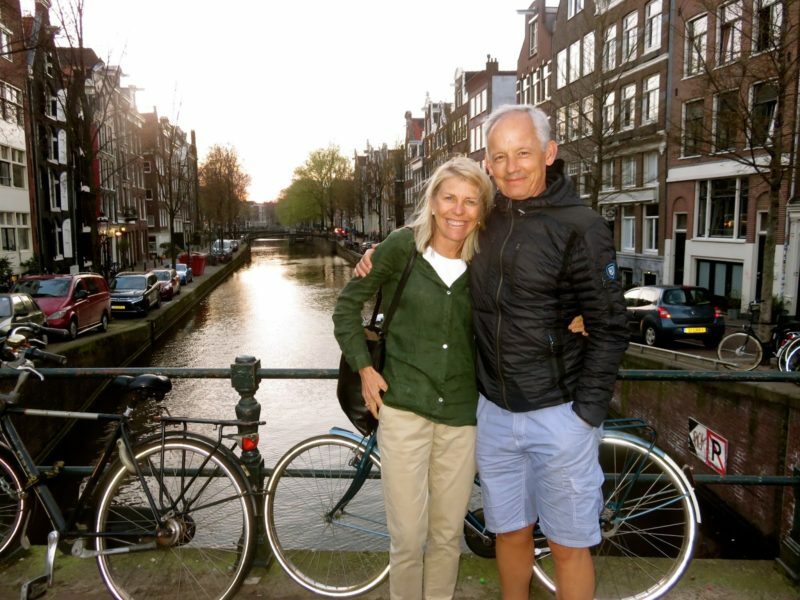 • BIKES are a must in Amsterdam – rent from Star Bikes or tour with Mike’s Bikes! • Take a Canal Cruise – we loved Blue Boats, but you can find group deals on all different routes! • Walk the bridges and canals. There are thousands of bridges in Amsterdam, adding to the city’s romantic charm and they’re the perfect place to marvel at the rest of the city from. 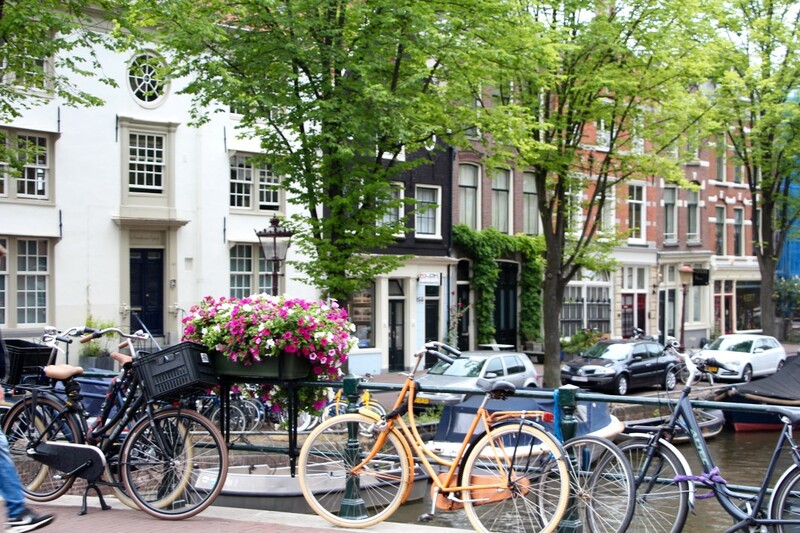 • Explore the Jordaan neighborhood! It was where we lived and our favorite :) There are plenty of bookshops, boutiques, and coffee shops to wander in and out of. Be sure to try a fresh mint tea! • See the main best sights like Anne Frank House, Van Gogh Museum, and more (listed below in museum section). • Take a FREE walking tour (based on tips only) through the city! We booked here and loved it. • Try Dutch pancakes at Pancakes! and stroopwafels from any street vendor. • Enjoy the parks with locals on nice weather days! Vondelpark, Oosterpark, and Westerpark. 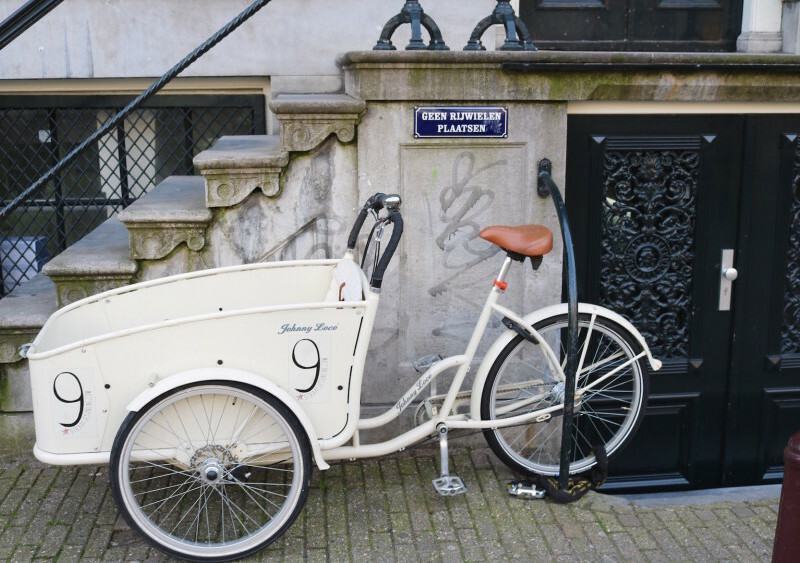 • The “Nine Streets” in the Jordaan are filled with darling boutiques, cafes and mostly just great shopping. Look for the vintage stores Episode and Serendipity (for kids!) and my favorite boutique called Number Nine. Other fun design shops include Droog and Frozen Fountain. Smaak is nice too! • Walk the bustling Kalverstraat which is the more modern shopping area. Really fun and always something going on here! 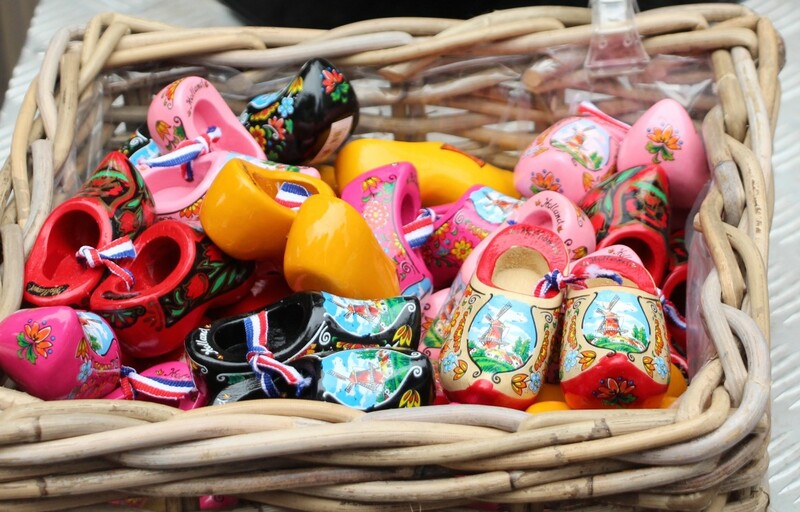 • Definitely spend time in the hip De Pijp neighborhood– including walking the huge Albert Cuyp Market! • Buy flowers (or tulip bulbs!) at Bloemenmarkt, the floating flower market. • Explore the amazing markets! My favorite was Nordermarkt in the Jordaan right by our apartment. • Eat at one of the many delicious stands at De Hallen Food Market. • Soak up nature: enjoy the Amsterdam Bos forest where you can visit the goat farm, canoe around the Waterland reserve, picnic in Vondel Park or ice skate around IJburg’s beach island. • Sit on a terrace and have dinner on a summer evening… it’s magic. • Bike-watch. This is the activity to do in Amsterdam instead of people watching :) Just sit at a café on a busy street and watch the crazy customs of locals on bikes! You will see entire families on one bike, kids riding in buckets on front, older people cruising around, everyone biking in snow and rain, and more. It’s seriously pretty amazing and such a way of life for them! • Find the views: it’s not so easy to find good views in this city with almost no high-rise buildings, but the public library is a good secret for a great view. It’s called OBA near Central Station. Head up the stairs to the café and take in the sweeping views to get a sense of the city. • Walk the lit-up canals at night as well as in the day. • Stroll through the main street of the Red Light District at least once just to see it. It’s quite…interesting. De Wallen is the area to witness the way it works and see the windows. Ironically, it’s also one of the prettiest (and oldest) parts of the city, so go in the early evening to take in the views and architecture. It’s completely safe with lots of tourists and rowdy British bachelor parties :) Just watch your purse, stay on the main streets, and don’t get pickpocketed in the crowd! • Find Begijnhof court, a hidden group of ancient buildings and private houses, dates back to the Middle Ages. It’s a little off the beaten track as it is a residential area but it is quiet, peaceful and steeped in history. • Go to Concertgebouw for cheap concerts and sometimes free lunchtime ones! Also look into going to the theatre at Westergasfabriek. • Celebrate King’s Day if you’re here in April (their Dutch national holiday). It’s like spending Mardi Gras in New Orleans or 4th of July in DC…but even crazier. Pack all of your orange clothes if you go! • Van Gogh Museum: My very favorite museum and #1 recommendation if you only have time for one. It is just so well-done and full of so many incredible pieces from his sunflowers to self-portrait to cherry blossoms, etc. You also get to learn a lot more about his life. • Rijksmuseum: Major famous museum with incredible art, and don’t miss the library here! Here you can see some of Rembrandt’s most famous pieces including Night Watch. Vermeer’s paintings are also on display like The Milkmaid…and Van Gogh’s Starry Night can be seen here. The newly renovated building is gorgeous and this is a must for art lovers. It is massive, so if you have a short time stick to the 2nd floor where the paintings + history of the Dutch East India Company are. We found it the most interesting! • Anne Frank House: Anyone who has read The Diary of Anne Frank will want to visit her actual house right in Amsterdam. She is one of the most known figures of the Holocaust, and it is pretty incredible to see the place she was hidden, read her words, and feel of the hope she had despite the most dire of circumstances. There will always be a long line here, so book tickets well in advance. Trust me! 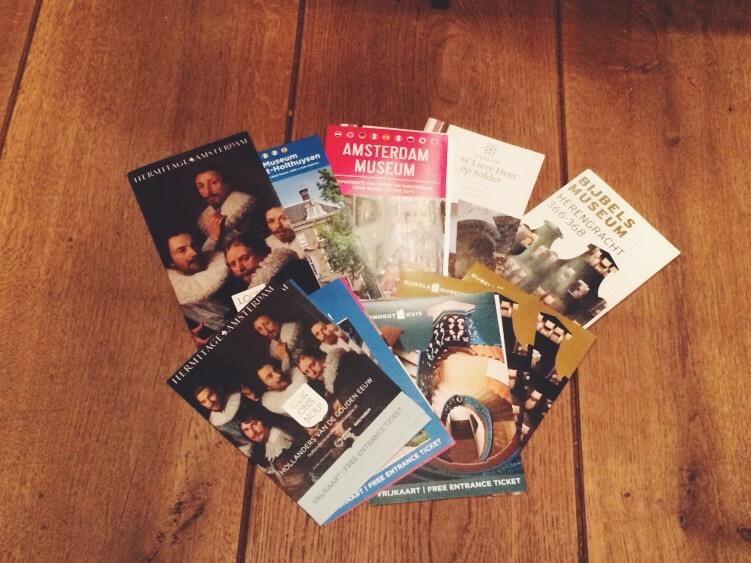 • Amsterdam Museum: This is a fun one to learn about the history of the city you are in! It is more modern with interactive booths, maps, videos, and painting explaining the factors that make up the personality of this city from the Middle Ages to today. • Rembrandt House: Though Van Gogh is certainly the city’s favourite artist, Rembrandt isn’t far behind. In this small museum you can see where Rembrandt lived and worked for 20 years. Through the period furniture and other articles, the Rembrandt House Museum opens a view into the life of this great painter and provides a fascinating look into life in The Netherlands in the 17th Century in general. Among the furniture on display are Rembrandt’s etchings and a changing selection of his paintings. • Hermitage Museum: This is a branch of the famed Hermitage Museum in Saint Petersburg, Russia. It’s located on the banks of the Amstel river in Amsterdam and is the second largest museum in the city. The exhibitions change but visitors can expect big names in world’s art due to the prestige of the Hermitage in Russia. • Museum our Lord in the Attic, in Dutch known as Ons’ Lieve Heer op Solder is a true highlight museum of Amsterdam. It’s a 17th-century canal house with a full church hidden in the attic from the time when Catholics and others who weren’t in the Dutch Reformed Church were not allowed to worship in public. So–they held secret church services here. It is such a special feeling in this church and really interesting to see! • Bijbels Museum: The small “Bible Museum” houses a collection of Bibles and other Christian objects including the oldest Bible printed in the Netherlands (the 1477 Delftse Bijbel). It talks about all of the different translations and it was a really interesting (though small) museum. • The Dutch Resistance Museum: This museum teaches visitors about the impact of the Nazi occupation on Dutch citizens during WWII. It’s very sobering and powerful with a lot of first person accounts. • Maritime museum: We loved this museum all about the sailing history of the Netherlands…it was the reason the country rose to the top with trade, after all! It goes through the history of the Dutch East India Company and all of the exploring. Part of the museum is even on an old ship on the water! Find the room filled with antique globes and maps…it’s fascinating to see how our knowledge of the world changed. • Houseboat Museum: This fun tiny museum is ON an actual houseboat! Be sure to track down the “Woonbootmuseum” and learn all about houseboat life on the canals. • Museum van Loon & Museum Geelvinck are both canal house museums which are fun to see. 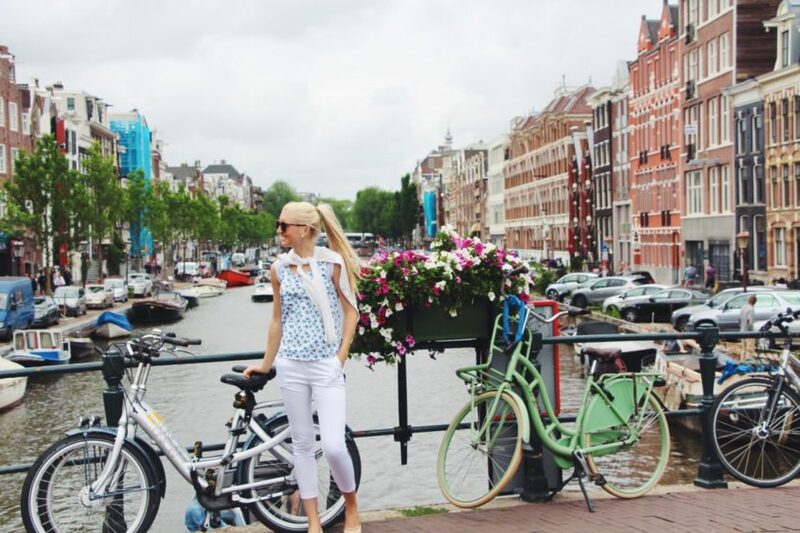 You can experience what it felt like back in the day in Amsterdam, and don’t miss the ornate gardens in the back! • FOAM :This is a cool photography museum in a beautiful old canal-side house on Keizersgracht. • Heineken Experience: A more modern type of museum set at the former brewery/headquarters, this fun experience gives a glimpse into the world of Heineken. We don’t even drink beer but we went with friends and it was actually so well done and interesting about the history of the Heineken family, how the beer is made, and other things they own today! • Stadsarchief: This is the city archive, which you may only be interested in if you’re living here and really into the history of Amsterdam (like Chase was!) There are archives stretching over 32 kilometers long, housing so much history and information about the city itself. Dutch food! It gets a bad rap, but there are some gems..to save space here I will just list some must-try items, but you can see much more detailed Dutch food and Amsterdam restaurant guide links right below. 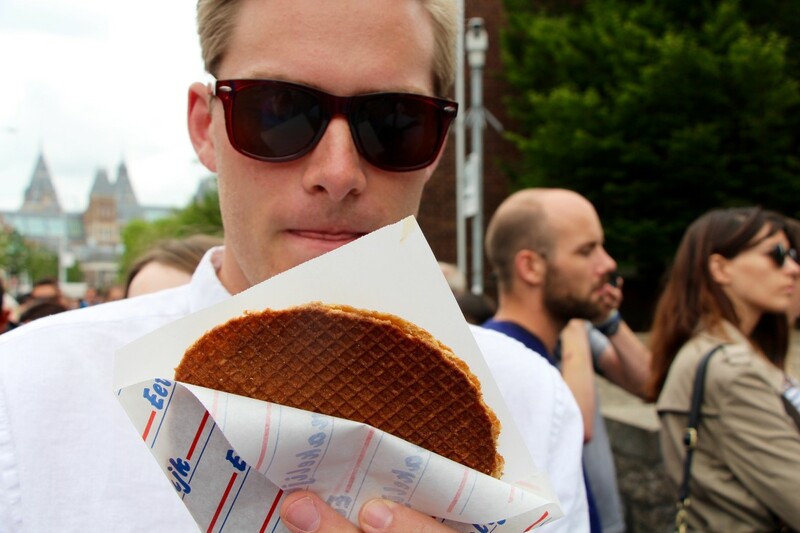 • …and the very best: Stroopwafels on the street! You’ll smell them a mile away. Eating Amsterdam to experience lots of these in one day! – Blaauw Indonesian is very well-known and worth trying a “rice table” at. – Enchiladas from Rosa’s Cantina. – A fancy sandwich at Walem. – Tomo Sushi – best in Amsterdam. – De Bakkerswinkel is lovely for brunch or afternoon tea. – The Breakfast Club pancakes! – Winkel 43 for APPLE PIE! – Moeder’s is a MUST for home cooked Dutch food. – Our favorite Euro chain, Vapiano, is here too! 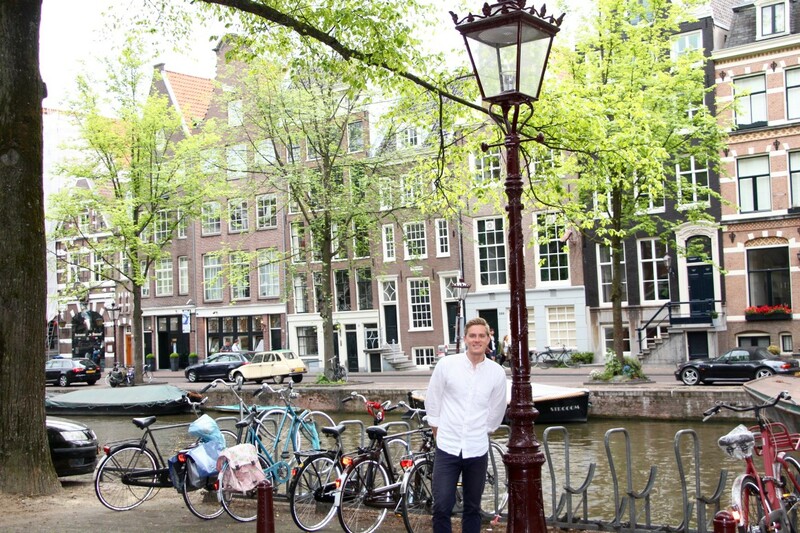 For my full Amsterdam Restaurant Guide, click here. **iens.nl is like the YELP of Netherlands. Use it to look up a restaurant or area if you need ideas! • Hotel Not Hotel – It’s a train station turned hotel…amazing! • AirBnb is also a great (and very popular) option here! • Cross the ferry (for free!) 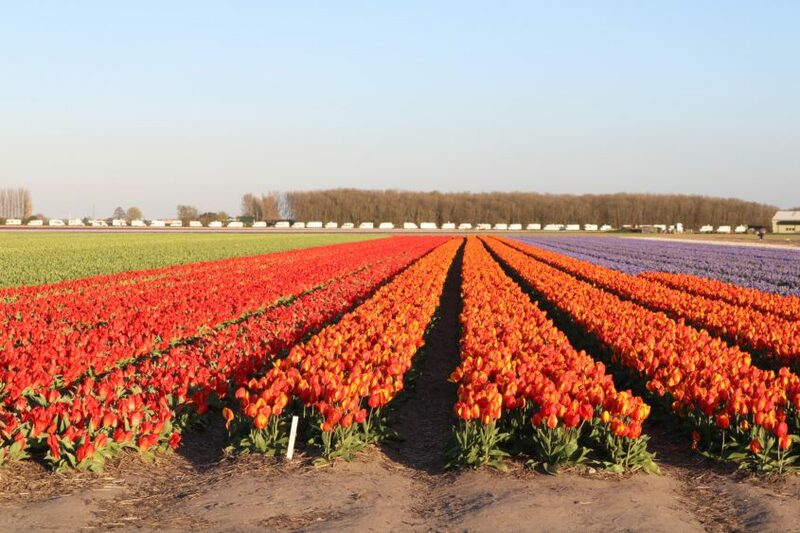 over to Amsterdam Noord, and cycle out into the Dutch countryside – think cows, green pastures, dykes and plenty of opportunities to stop at village cafes for a slice of apple pie. • Haarlem is not too far, and beckons with its smaller canals and charming streets. You can also see Corrie Ten Boom House from The Hiding Place. • Rotterdam: the more modern port city in the Netherlands with skyscrapers and bold architecture. • The Hague: Where Dutch parliament meets, and also where the King’s Palace is. 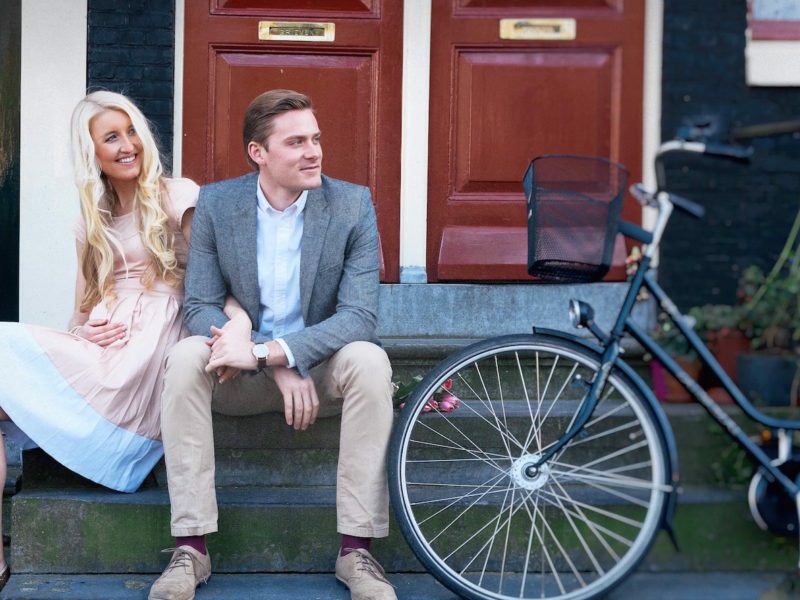 • Maastricht: University town in the South that is full of charm! • Giethoorn: Idyllic Dutch town with no roads: only canals! • Gouda: Birthplace of the famous Dutch cheese! • Belgium is bordering the Netherlands and very easy to train or drive to on the weekend: seek out Antwerp, Ghent, Brussels, or Bruges! • Cologne, Germany – only 3 hours away by car, and a completely different culture awaits. • Lille, France: Be immersed in Flemish culture in this Northern French town. • Hamburg: Another fun German town to visit in the North. • Paris: Hop on the train or an overnight bus, and you’ll be in the City of Light by morning. • Any other city that EasyJet flies to since there is a hub in Amsterdam … cheap European flights are the best! I hope this little guide helps any travelers or people moving to this amazing city. Lucky lucky you if you are!! I promise you’ll fall in love with this city. what a great and comprehensive post. we had a coworker friend that was based out of the company’s office in leiden, which was like 20 mins outside of amsterdam. we stayed with him for 2 weeks, and i fell in love with the whole country. we took a quick 2 day trip to brugges, which is such a fairytale land! i am about to search thru your posts for anything on austria…we are heading there for over 2 weeks shortly. and omg, stroopwaffels hot off the press. so ooey gooey and deelish! The word “please” literally looks like you just faceplanted on your keyboard. The Dutch language looks like a challenge! 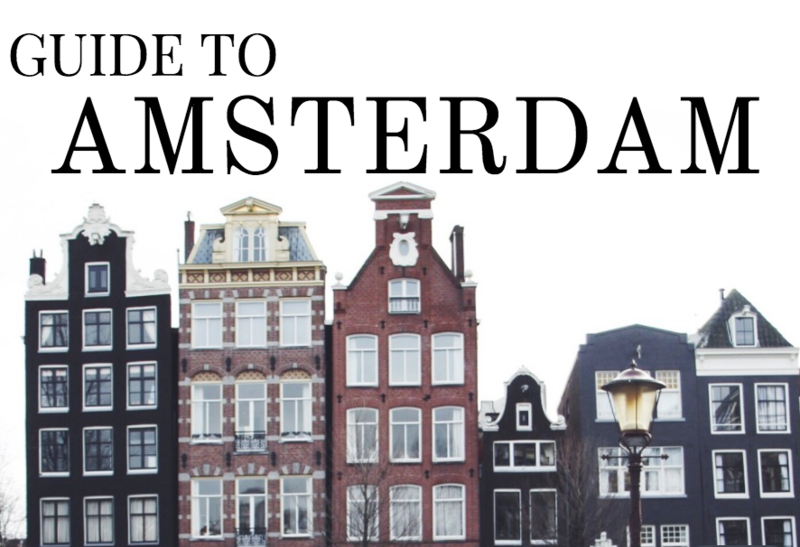 Thanks for sharing such a thorough guide, I can’t wait to see Amsterdam for myself! PERFECT timing as we are headed there this month! Yay!!!! Thnaks! I have been to Amsterdam a lot but haven’t done many of these . Will try next time.. especially renting our own boat. Can’t wait to go and use this! Most excited to learn about The houseboat and purse museums. How unique! This is a post I love! Useful info too keep. Love your list of places to visit.